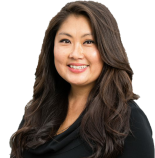 Yong has been in the mortgage industry for over 15 years and has an extensive level of experience with residential mortgage loan processing and operations. Yong has been with VMG since it was established in 2007, where she oversees the processing staff and system operations. Over the years Yong has worked with the management team to develop a system that embraces innovative technology and the expertise of VMG staff. This system around technology and experience produces a very organized, smooth, and compliant loan process for both the consumer and originator. In her free time Yong enjoys traveling and spending time with her family and friends.